Welcome to Mimomex Farm! We lie on one of the richest soils in Orange County, NY called “black dirt”. It’s richness allows for us to grow some of the best mexican herbs and large variety of produce. I began this farm with the help of my wife, Gaudencia and the faith that we could provide a good home for our children. 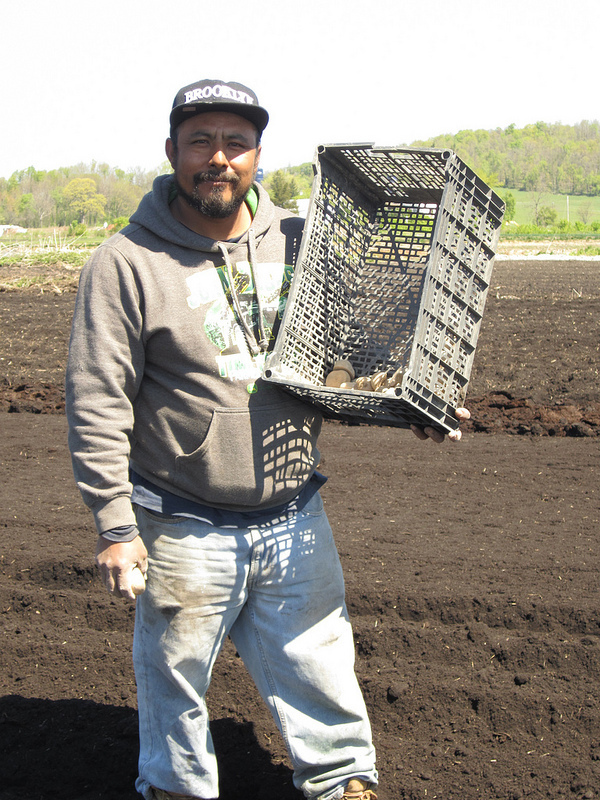 My agricultural upbringing in a rural town in Mexico is what moved me to establish this farm in the U.S. With the help of GrowNYC’s New Farmer Development Project we learned what was needed to begin our farm and they helped us acquire land. We purchased our land in 2006 and have since been selling at the Greenmmarkets in NYC. Once we had some experience growing we were connected to CSA groups with the help of Just Food. My wife and I, as well as my workers work hard night and day throughout the growing season to provide the best quality of food free of pesticides. I thank all the people who work with us in our CSAs and to those faithful customers who purchase from our farm stands.